The Internet experience in China is not the same as the Internet experience in other parts of the world. China places heavy restrictions on their online content, and there’s a barrier in place to keep Internet users from interacting freely with the outside world. This barrier is called “The Great Firewall” (GFW). The GFW is intended to make the quest for information just enough of a nuisance that users generally won’t bother. Instead, the hope is users will turn to the surplus of content (including books, magazines and TV shows) already existing within the country. By making the search for external information difficult, Chinese Netizens are driven back to an environment where familiar tools of social control come into play. 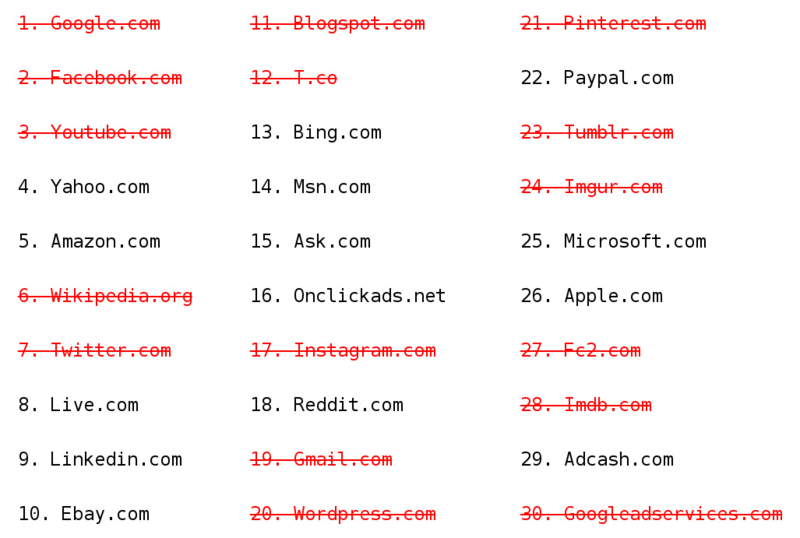 As shown in this image, 16 of the top 30 websites are blocked in China. To discover uncensored, unrestricted Internet content from China it is necessary to escape the GFW. 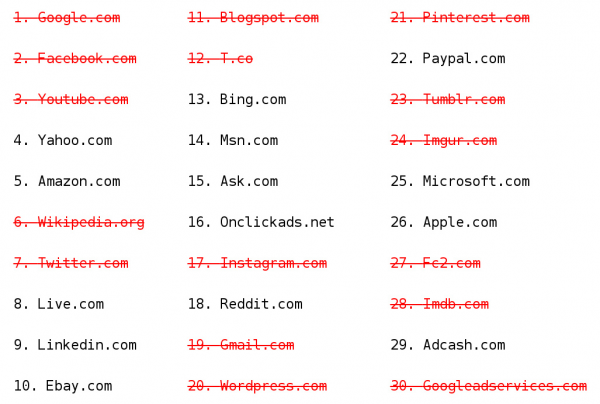 Bypassing this Internet censorship prompts thinking from a different angle, and a step closer to the truth. Without restrictions, users have access to an open Internet, including sites like to Google, YouTube, Facebook, Twitter, Blogger and WordPress. We believe everyone in the world has the right to access content freely, and to an Internet free from restrictions. Our VyprVPN product provides users in China this access through our proprietary Chameleon technology that defeats VPN blocking.